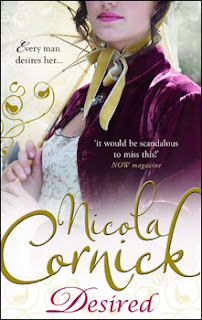 Nicola Cornick is another author I’ve known for so long that I can’t actually remember if we met first through the RNA or at an M&B party. She’s a historical author, so we talk a lot about history. 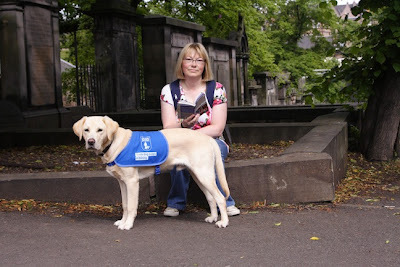 And dogs (did you know she’s a guide dog puppy walker? See pic below of Nicola with the gorgeous Rochester). And cookery (I can indulge in the joy of historical recipes with Nicola). And she was kind enough to let me grill her about her trip to Spitzberg when I was writing my Northern Lights book, Temporary Boss, Permanent Mistress (she really earned that dedication, I can tell you! … and my editor should probably start worrying about what I’m going to sneak into a future book). I normally share a house or flat with her and Sarah Morgan at RNA conferences, which involves drinking very civilised cups of tea (oh, OK, so wine is sometimes involved) and talking and laughing until very late. Her books are total autobuys for me, and what I love (apart from her gorgeous heroes, and heroines you’d want to be friends with) is that I always learn something new from them (eg about the London Beer Flood of 1814 in Mistress by Midnight). It's such a huge pleasure to be here to join in the celebrations for Kate's 50th book! 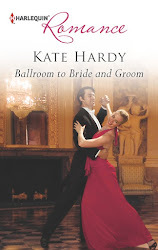 The blog party has been going on for a while now and I have been enjoying reading all the posts and seeing all these wonderful authors paying tribute to Kate's success. 50 books is a landmark and a great achievement as well as an inspiration to authors like me who still have a little way to go to their 50th. 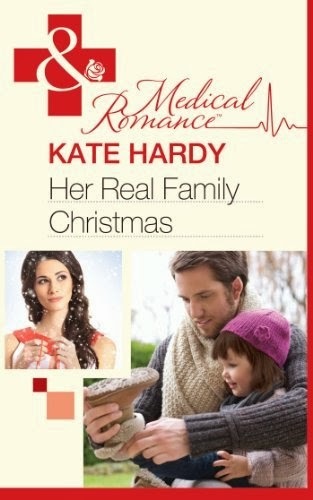 So all hail Kate and her amazing writing! The Italian GP's Bride for its utterly gorgeous hot hero; I adore him! 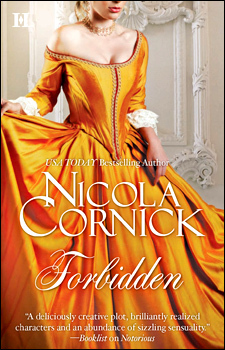 Sold to the Highest Bidder because I love historic houses (as well as hot heroes!) and Temporary Boss, Permanent Mistress because Kate and I had such a fun time talking about ice hotels and the Northern Lights and all the other magical elements that make the setting of that story so very special. Congratulations, Kate, and I look forward to adding many more of your books to my shelves! Awesome!!! I hope to read these books soon.I guess even at my again I enjoy fairytales.Hey 50 books is really AWESOME.Thanks for the intro to a new read.You are still the greatest!!! I indulge in a well deserved and can't resist slice of turtle cheesecake once in a blue moon. Congrats Kate by the way! With cheesecake and chocolate you hav already covered two of my own forbidden treats. Cannot resist a chocolate eclair! Chocolate & toffee-covered almonds from Trader Joe's. Alas, we no longer live near a Trader Joe's, so we have to buy them when we're on trips and carefully hoard them. I wish I could just google them up without thinking about their scarcity!! Wow, mk! Chocolate and toffee-covered almonds sounds delicious. I used to have quite a think for sugared almonds when I was younger. And chocolate for you too, Bn100! Can't argue with that. For me it has to be Thorntons Alcoholic Truffles. Sadly, they are less of a temptation than they used to be as the Newmarket branch of Thorntons has closed! hi kate and nicola, my favourite guilty pleasure is oreo chocolate cake that my sister often makes for me for my birthday:). aFTER ALL, it just happened once a year like once in a blue moon, so I am guiltily eat half of it :). LOL, Jan, I am exactly the same except that I love those Thorntons Alpinis! I know there is a Thorntons in a town 10 miles away so I make a special trip. Aretha, half a cake? Wow! But it IS your birthday so you should be allowed to indulge. 50 books!! That's wonderful!! So many wonderful reads!! I love salted caramels!! First name drawn from the hat for Nicola's books 'Desired' and 'Forbidden' - Alison. Please contact me kate(dot)hardy(at)btinternet(dot)com with your details, and I'll get everything sorted :o) Thanks for taking part! Chocolate covered sunflower seeds.. Shhh.